The Johnston County Tourism Authority welcomes new board members, presents 2015 Annual Report to County Commissioners, and elects officers to lead the board and oversee the operation of the Johnston County Visitors Bureau. We are always excited to welcome members of the community to serve on the Tourism Authority Board to help lead the efforts of tourism promotion and development for Johnston County. All board members serve on either the Marketing Committee or Special Projects Committee which work directly with the staff on establishing the annual budget and overseeing all projects by the bureau. Randy Capps, owner of Shandy Communications whose company prints the Four Oaks Journal, was appointed by the Four Oaks Chamber of Commerce. Capps replaces Stacey Lee, who resigned in November due to work commitments. Randy has work experience in journalism and worked for the Fayetteville Observer for eight years. Rick Childrey, President of the Greater Smithfield/Selma Chamber of Commerce was appointed by the County Commissioners for a three-year term. Childrey replaces Warren Stancil, who resigned in August of last year. Childrey has a long-standing relationship with the Visitors Bureau, as the offices for the bureau staff were once located in the Lee House on Outlet Center Drive. Childrey has been the President of the Smithfield-Selma Area Chamber since 1986. The board held open elections for officers to serve for two-year terms. Keith Brinson, of Farm Bureau Insurance appointed by the Smithfield/Selma Chamber, was elected Chairperson. Scotty Henley, Executive Director of The Clayton Center appointed by the Clayton Chamber of Commerce, was elected Vice-Chairperson. Lynn Daniels was reelected as Secretary of the Authority, a position she has held for the past two years. Ernie Brame, Manager of Kenly 95 Petro, was appointed as Chairperson of the Special Events Committee. Rosa Andrews, Johnston Community College, was appointed Chairperson of the Marketing Committee. New board members Randy Capps and Rick Childrey will both serve on the Special Project Committee which oversees the Capital and Special Events grant programs. During an extended board meeting the Tourism Authority presented the 2015 Annual Report to the County Commissioners. Highlights and staff accomplishments from 2014/2015, the year-end financial statement, visitor spending numbers and overall state of tourism for Johnston County were discussed. To download or read the JCVB Annual Report -- CLICK HERE. Sarah Campbell, Sports and Leisure Sales Manager, is attending the Southeast Tourism Society, Marketing College to further her education in destination marketing. This three-year, week long course introduces Sarah to a curriculum of courses designed to teach marketing techniques from all facets of the tourism industry. Upon completion of the three-year Marketing College curriculum, she will receive a Travel Marketing Professional (TMP) certification. In January, the Visitors Bureau began the second year of the JoCo Hospitality Association, a membership based tourism industry advisory committee to the authority. Invitations were sent to area businesses to become members, cost is $50 for the organization. The group meets four times a year on the fourth Tuesday at 2pm in January, April, July and October. Guest speakers and workshops are held for education and networking for the group to foster better relationships in the tourism community in Johnston County. 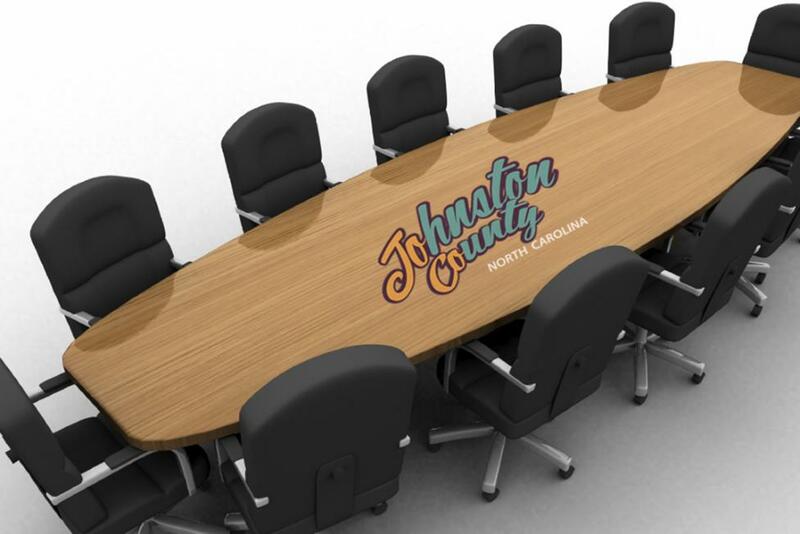 Also in January, the Johnston County Sports Council members attended the County Commissioner&apos;s Jan. 4th meeting to continue the discussion on the recommendations from the County-wide Parks and Recreation Master Plan. Since the completion of the plan in April, the Visitors Bureau staff continues to work on low-impact recreation projects like Bike Route Signage and Boat Ramps on the Neuse River. Larger projects like the completion of the Mountains to the Sea Trail are topics the Sports Council wants to address with the commissioners, and having a dedicated staff person to pursue the plan&apos;s recommendations. 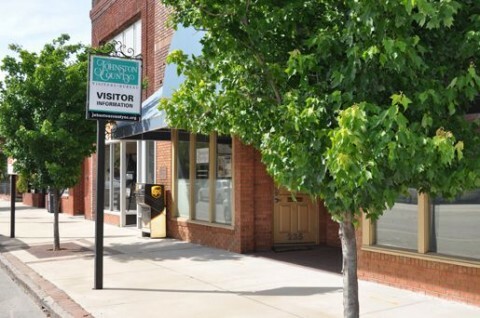 The Johnston County Visitors Bureau oversees the marketing efforts for the county to attract and serve visitors, therefore increasing the economic impact for the local economy. In addition, the Towns of Benson, Kenly, Selma and Smithfield have a 2% occupancy tax that is managed by the Visitors Bureau and is dedicated to each town&apos;s marketing efforts. To learn more about the Johnston County Visitors Bureau, please contact Donna Bailey-Taylor, President/CEO at 919-989-8687 or visit the website here.